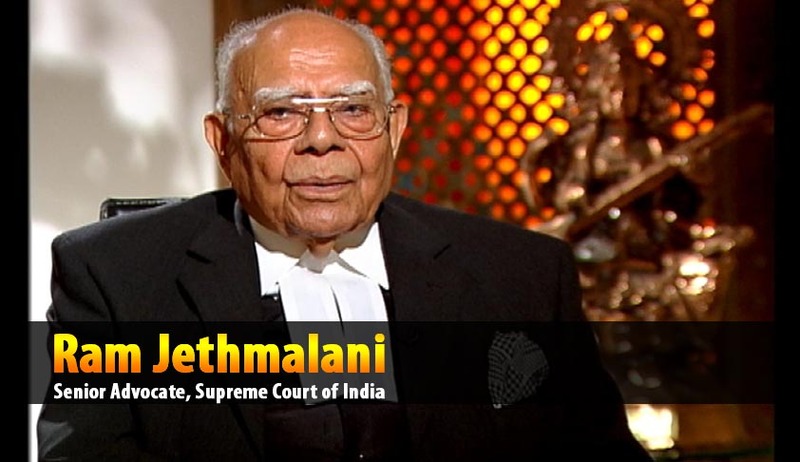 Well known Jurist and Senior Advocate Ram Jethmalani appearing for Advocate Ashish Dixit, an intervener in the NJAC matter, submitted before the Constitution Bench that a statute even a Constitutional Amendment Statute has to be declared invalid of it’s too vague and makes the task of its application or enforcement impossible or even difficult. Relying on the landmark Judgment of Supreme Court in Shreya Singhal v. Union of India he submitted that the reference to two eminent persons in the National Judicial Appointment Commission Act is provision of this kind and void. The independence of judiciary is a basic feature of our Republican Constitution within the meaning of Kesavananda Judgment (1973) 4 SCC 225 followed in I.R. Colehlo vs. State of Tamil Nadu (2007) 2 SCC 1. The nine judges bench judgment of this Hon’ble Court reported in (1993) 4 SCC 441 is binding on this Hon’ble Bench. (a) Though the majority judgment was of Justice Verma, a concurring judgment of Justice Pandian is more detailed and more precise and clear. The majority judgment does not differ from it on any issue relevant in these proceedings. (b) I will rely mainly on the concurring judgment of Justice Pandian (See Para 8 at page 505). (c) In Para 9 he made it clear that the matter involved reconsideration of Gupta’s Case (1981) Supp SCC 87. (d) In Para 19-20 relying on the Canadian decision of Dickson C.J he held that interpretations of some statute can change with altered social conditions arising out of decades gone by. “Constitution is not ever locked in a century old casket. It lives and breathes and is capable of growing to keep pace with the growth of the Country and its people’. In Para 21 he referred to the new dynamic judicial activism, a vital change. (e) Pondyals Case (AIR 1993 S.C. 1804) Para 23-A- A great principle of interpretation and Para 24-25 formulate the main issues. III. He notes that even Justice Bhagwati who authored the Guptas final conclusions under challenge was not happy with the conclusion reached by him. His own judgment indicates that Bhagwati was not happy with what he thought was compelled by the words of the Constitution. This Para itself indicates what kind of National Judicial Appointment is required, “ It must consists of persons who have knowledge of the persons to be appointed and the qualities required for appointment and this last requirement is absolutely essential”. This is insurance of independent judges only being appointed. The nine judges’ judgment has overruled the Gupta. The case was decided the way it was because the word ‘consultation’ was not capable of bearing the alternative meaning of ‘concurrence’. The Court did not consider that independence of judiciary means freedom from executive influence and Kesavananda’s Case had committed the judiciary to regard executive intervention in appointment a violation of a basic feature of the Constitution. One can save the provisions from invalidity by reading it down. What was required in this case was a very mild reading down consultees’ advice given during consultation is binding. The consultation is compulsory. The President gets the advice from judiciary.The executive advice is by convention.Constitution does not in express terms provide for it. The executive cannot give advice much less binding advice which involves breach of the Constitutions basic structure. See the view of the Australian Chief Justice accepted in this judgment. (Para 25 at Page 213 continued). Executive can give advice to president while exercising powers in relation to maters within Union List or concurrent list. Parliament has no power to legislate on the matter of appointment of judges in the Supreme Court or the High Courts. Article 73 of the Constitution. Justice Kuldip Singh concurring judgement (Para 408 at Page 675). This is the argument made but the majority did not decide it. There is no answer to the contention. VII. Any constitutional amendment which diminishes or dilutes the primacy of the Chief Justice recognized by 1993 and 1998 judgment of this Court is void as repugnant to the basic feature of the Constitution and also inconsistent with the nine judge bench. The Constitutional position today is that the executive will be entitled to and bound to consult the Chief Justice and the CJI’s view is binding on the President. This right has been taken away from him and he is made to share it with 5 others. Any two joining together can render the proceedings nugatory and no appointment desired by the judiciary can take place. His power to appoint and fill up all vacancies can be just extinguished. The executive which had only the right and duty to participate in the consultation process has now a Constitutional power to vote and the law minister with his asset of vast patronage can get one vote on his side and render the judiciary impotent; with two more on his side can often not only create a dead lock but also appoint their own person. Judicial primacy = the view of the CJI overruling the executive suggestion is wholly repugnant to Article 50 of the Constitution. See Para 31 of Pandiyans concurring judgment at Page 515. Para 75 at Page 528, Para 77 at Page 529, Sanckalchands Case (1977) 4 SCC 193. Five Judge Bench decision is binding on this Bench. Final Judgment of the Pandian Judgment – Para 80 at page 529, Para at page 531, para 86 at page 531, Para 101 at page 537, Para 144 at Page 548, Para 181 at page 559. Para 196 at page 565- Final Conclusions accepted by all the majority judges. VIII. Presence of the Law Minister in the commission diminishes the confidence of the public or the citizens claiming protection against breach of fundamental rights or seeking relief against illegal unconstitutional or mala fide action of the executive. A minister in regular meetings often leading to social meetings and private talk, scandals and gossip disqualifies judges. The major litigants employee in constant touch with Judges and perhaps participating in appointments shakes public confidence. It is a well known feature of the pro-collegium case of 1993 candidates for judicial office cultivated politicians. Politicians are not known these days for integrity. Para 207 at page 569, para 208 at Page 569-570, overruled Guptas Case at Para 254 at page 585. A statute even a Constitutional Amendment Statute has to be declared invalid of it’s too vague and makes the task of its application or enforcement impossible or even difficult. The reference to two eminent persons is provision of this kind and void. See Shreya Singhal vs. Union Of India (2015) 4 SCALE 1, Burstyn vs. Wilson 96 L. Ed. 1098, United States vs. Reese 92 U.S. 214 (1875) at Page 221. Weighty High precedents in other countries teach us that politicians particularly active practicing ones must be excluded. Appointment of superior Judges is a sacred duty and any less sacred interest or reasonable suspicion of its existence should be strictly excluded. A law minister who has to retain power is more interested in securing votes, serving a limited constituency and doing or not doing things according to the exigencies of vote bank politics cannot participate in this holy task. The two lay citizens must include a distinguished lawyer enjoying the confidence of the bar and bench, preferably an acknowledged Jurist and the second a trained sociologist who understands the misery of the poor, the causes of poverty and legal reform connected with these grave problems of our polity. Other lesser mortals are not needed. Reference to castes and gender makes invalidity a certainty.